Eek.. where do we take our friends to eat halal (but non-mamak) in cheras ? Oh no! My food hunting skills are being pushed to the limit here! There it is! 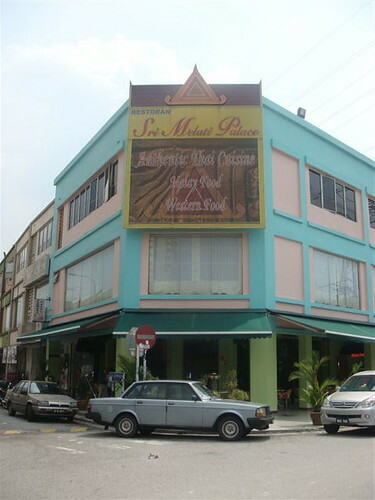 Sri Melati Palace. My friends were impressed… Little Chinese Gal knows where to find halal food so far from her home… hahaha 🙂 TWO thumbs up! Well the Tom Yam Gong was good.. as spicy as they come and sour enough to curl your toes, fingers and ears! 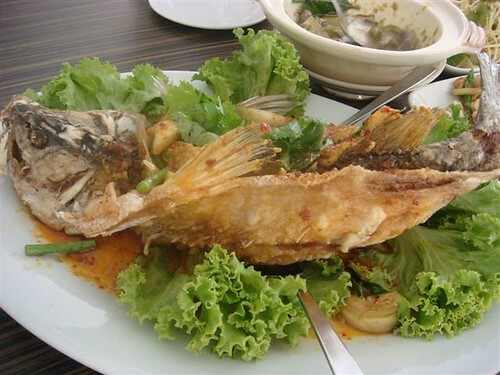 The deep fried fish in Thai sauce was tangy, crispy and yet soft and fresh inside. 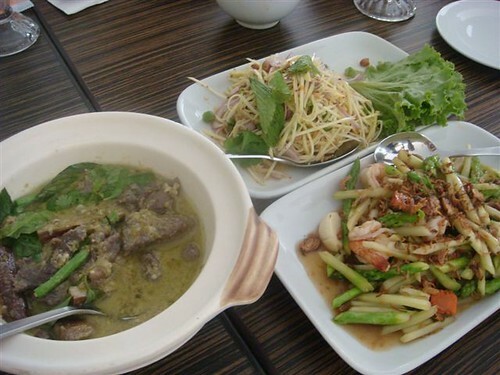 Not bad for a second dish..
We also had the beef green curry, the asparagus with prawn as well as the kerabu mango. The beef was a little hard – not up to par. The Asparagus as too salty and over cooked… but the Kerabu Mango was delicious! good job as usual, you indiana jones! 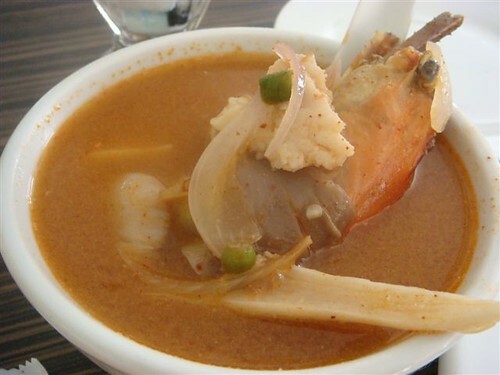 hehehe…tom yam gong!!! the sourer, the better. bring it on! mamak is normally street stall/coffee shop kind of indian muslim fast food. cheap and good 🙂 normally Malaysians like to hang out with their “teh tarik” (pulled tea) here and chat till wee hours of morning. that’s the Mamak culture!